Rampant illegal actions by Border Patrol agents stationed in border states around the country has been the norm for quite some time now. The problem has only grown in recent years as the agency continues to expand at an alarming rate with few, if any, checks and balances. As such, it’s good to see the ACLU finally taking an active roll in seeking accountability for such illegal acts at internal checkpoints and by roving patrols. 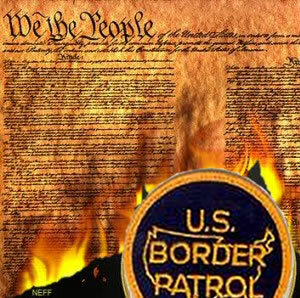 What never ceases to amaze me however is despite the increased scrutiny of the Border Patrol in general, just how many Border Patrol agents there are who couldn’t care less while continuing to violate the law. 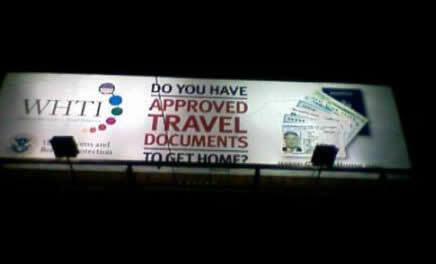 This of course only serves to show just how arrogant the agency is and unaccountable its agents are. I noticed an increase in network traffic to the blog recently so took a closer look. 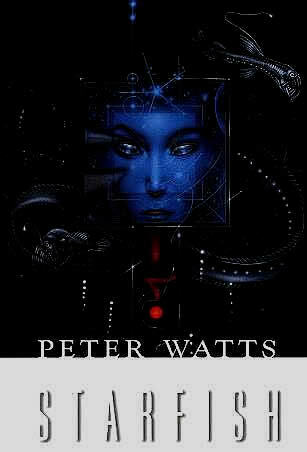 What I discovered was that Peter Watts, an award-winning Canadian science fiction writer, was recently roughed up close to the Canadian border by U.S. homeland security goons with Customs and Border Protection. It appears that Mr Watts was attempting to return to Canada via the Blue Water Bridge in Michigan when he was selected by Customs and Border ‘Protection’ agents for extra special attention in the form of a random vehicle search prior to leaving the country. That’s right, Mr. Watts wasn’t attempting to enter the United States. He was attempting to leave. Yesterday, the United States passed yet another milestone in its rush to solidify the burgeoning American police state. All the details are reprinted below from Papers Please. This morning, I came across the following disturbing letter to the editor posted to Freedom’s Phoenix that I thought I’d share with you. 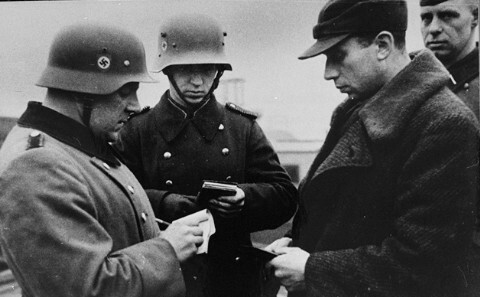 Many folks claim that internal Border Patrol checkpoints are no big deal because they only involve a brief citizenship query. While I have repeatedly debunked this claim, the letter below does a great job in showing how quickly questioning at such checkpoints can escalate well outside the scope of brief immigration queries. 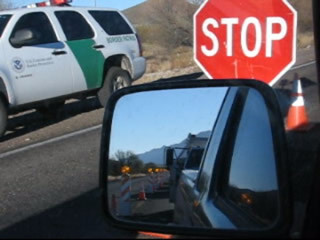 In 2007, I posted a series of blog entries regarding a proposed permanent Border Patrol checkpoint along I-19 near Tubac, Arizona that Homeland Security was attempting to ram down the throats of Southern Arizona residents. The checkpoint plans were met with a fair amount of resistance from local individuals, communities, business owners and politicians. In response, the Border Patrol temporarily tabled the plans and settled for a temporary or tactical checkpoint in its stead. Freedom’s Phoenix has setup a legal defense fund for Steven Anderson, the individual brutalized by the Border Patrol and Arizona Department of Public safety last week. Mr. Anderson was driving back to his home in Phoenix from San Diego when he was stopped and detained absent suspicion at an internal Homeland Security checkpoint seventy miles East of Yuma along I-8 in Southern Arizona. I’m just coming up to speed on this latest outrage by the United States Border Patrol and will have more to report later. 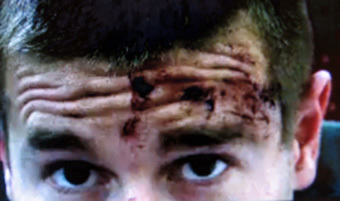 For now though, checkout the video (above) of the individual recently brutalized by the Border Patrol and Arizona Department of Public Safety over seventy miles East of Yuma along I-8 at a suspicionless internal immigration checkpoint. Freedom’s Phoenix Senior Editor Powell Gammill traveled down to Tucson from Phoenix yesterday to observe and take notes on my trial regarding impeding traffic. This is a quick update regarding the December 20, 2008 U.S. Border Patrol/tribal police encounter previously discussed here and here. 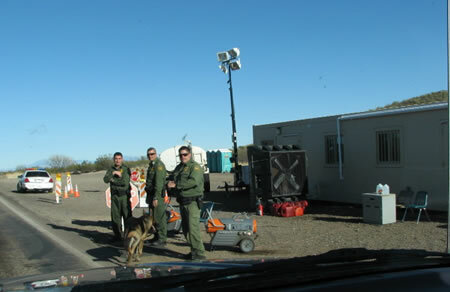 To recap, tribal police Officer Robert Carrasco, Badge #166, with the Tohono O’odham Police Department worked closely with U.S. Border Patrol Agents to maliciously cite me for impeding traffic while I was being seized by armed federal agents in front of two stop signs at a Homeland Security checkpoint located off the reservation along SR-86 in Southern Arizona. 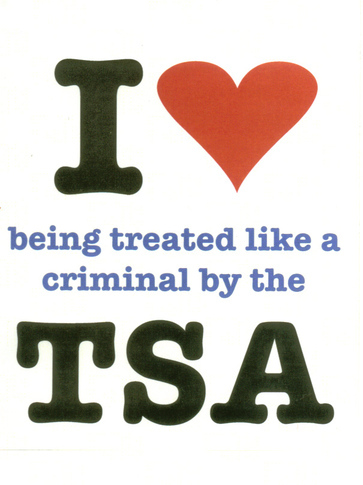 Steve Bierfeldt, an individual working with Congressman Ron Paul’s Campaign For Liberty, was recently detained by TSA agents at an airport security checkpoint in St. Louis, Missouri. At the time of his detention and interrogation, Mr Bierfeldt was transporting several thousand dollars in campaign contributions raised at a St. Louis rally.